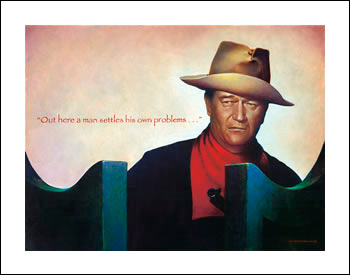 Celebrate 100 Years of John Wayne with Wayne McLoughlin’s authorized portrait of Duke in “The American”! Click on the image below to see a larger version and the special options for this exclusive, limited edition portrait! "Out here a man settles his own problems. . . "